It says emissions of greenhouse gases will affect the degree to which global temperatures continue to rise — a claim President Donald Trump and some members of his cabinet have disputed. (Basic science and actually temperature reports agree with Trump) Scientists in the US Army were disagreeing with manmade global warming way back in 2008. All 13 of these governmental agencies seem to have forgotten all about the sun. Did you know, July Was the 2nd Hottest Month in Recorded History. You believe that? Do you trust your governmental organizations? 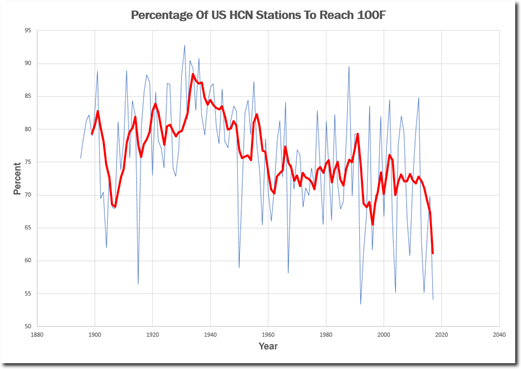 It still is heresy to stand up anywhere in the world and suggest it that climate change is not only not manmade but also cooling instead of warming. Trump is just about the only politician in the world with the courage to stand up to all the lies about climate change. I would stop publishing so many essays on climate change if the press would let up on their global warming fraud but when I see their bold face lies an indignation arises in my belly. Even Trump dare not say a word more about climate change because they, the owners of all the mass media, would drown him, which they do anyway every day. In Montréal, Quebec, Canada, we had a July 2017 without any tropical heat day (30 C+), which is a first since 1992. February 2015 was the coldest February ever here with an average 24 hours temp of -15 C, which is 7.5 C below normal and the 2nd coldest month ever – all months included. This year we had the coldest July in Montreal in 25 years but media ignores it as it does the truth of just about everything important these days. Lower temperatures than usual east of the Rockies. The Weather Channel reports that Sunday morning saw record breaking lows in Missouri, Kentucky, Tennessee and Indiana. Cooler temperatures are predicted to span much of the eastern part of the United States throughout the month of August. One of the most powerful women in Christianity, US Episcopal Church Presiding Bishop Katharine Jefferts Schori, told the Guardian that climate change denial amounts to denying God’s gift of knowledge. That would be true if there was no special meaning attached to climate change like manmade global warming. The Pope has weighted in also on the side of this gigantic fraud as well. Therefore, no matter how cold it gets our minds are supposed to pretend how warm it is getting. ‘Rare’ early freeze in Russia. In Magadan such frosts usually do not begin earlier than the third week of August. “In the central regions of the Magadan region, such early frosts are rare.” Expected to freeze to -3°C. In the central areas on July 31. In the village of Pechora the temperature fell to 1.3 ° C on August 8, a new cold record. Some people believe in pink elephants and often swallow anything they are told and then cannot listen to anything that conflicts with their installed belief system. We see that in religion and we see it now in science and forever politics. Those out there who believe that last year was the warmest year in living memory but did you know that NASA climate scientists, who made the claim, were only 38 per cent sure this was true. How sure are you? First ‘summer-less’ July in Denmark in 38 years. A ‘summer day’, which is defined as any day in which temperatures top 25C (77F) at least somewhere in Denmark. According to the Danish Meteorology Institute (DMI), July is likely to end without reaching 77F anywhere in the country. If that prediction holds up, it will mark the first time that Danes will have suffered through a summer-less July in nearly four decades. It is a sick joke this global warming business. A lot of hot air has been coming out of humans. We know where this mental disease started, with Al Gore, one that made him a very rich man. According to many people the earth is warming rapidly, the sun does not exist in terms of having an effect on planet earth, and the increasing volcanic activity is not paid any attention so all that volcanic stuff that goes high into the atmosphere will not be playing its traditional cooling effect. In the United States, summers are getting much colder. Every single metric shows that summer maximum temperatures are cooling in the US, and that heatwaves are becoming shorter, less intense and covering a smaller area. Climate scientists say the exact opposite of the data, because they are consultants being paid to push the global warming scam. There is one thing that global warming folks have right and that is the diminishing use of coal-fired plants because they are dirty (pollution) and because politicians and scientists just cannot get it together to see that it is the huge tonnage of mercury coming out of coal-fired plants every day, which is damming the earth. There is nothing funny about climate change especially when that change is cooling. Civilization is not prepared to withstand increasing cold. With warmer weather, agricultural sectors increase but in the cold things get hard. 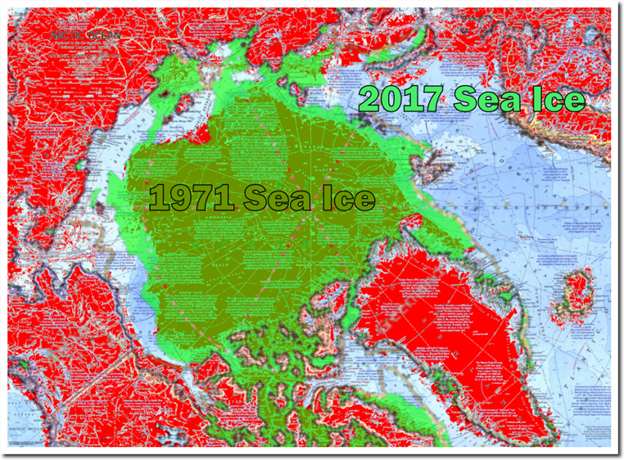 The “little ice ages,” that revolve around various natural cycles, tend to kill off more humans than other natural disasters. Cultures around the world have failed as cold prevents farmers from harvesting enough grain to feed their cities. During past “little ice ages,” humans also suffered rampant epidemics of diseases such as cholera and bubonic plague. It is good to remember that Australian Prime Minister Tony Abbott’s top business advisor went public in May 2015 claiming climate change was a ruse encouraged by the United Nations to create a new authoritarian world order under its control. Maurice Newman, chairperson of the Prime Minister’s Business Advisory Council, said the real agenda was “concentrated political authority. Global warming is the hook”. Scientists warn that the Earth is just 15 years away from experiencing a “mini ice age” — something that has not happened in 300 years. Researchers in the U.K. created a new model of the Sun’s solar cycles that allows them to make extremely accurate predictions of changes in solar activity like never before. Solar cycles typically last 11 years and during that time, the north and south magnetic poles flip. It looks a lot like a heartbeat when graphed out. We are currently in Cycle 24. The solar scientists say that the latest model shows the Sun’s magnetic waves will become offset in Cycle 25, which peaks in 2022. Then, in Cycle 26, solar activity will fall by 60 per cent. Personal Note: Surviving and keeping warm, as the world gets colder is going to be a challenge. The cost of keeping a house warm is going to increase and that is a problem as the world, and just about everyone in it are going to run out of money. I began writing about global cooling in 2009 many years before someone sent me a Biomat, which I totally love. I live in Brazil where no one has heating for his or her house so it is a delight to have an answer, for an issue, I have been writing about for years.